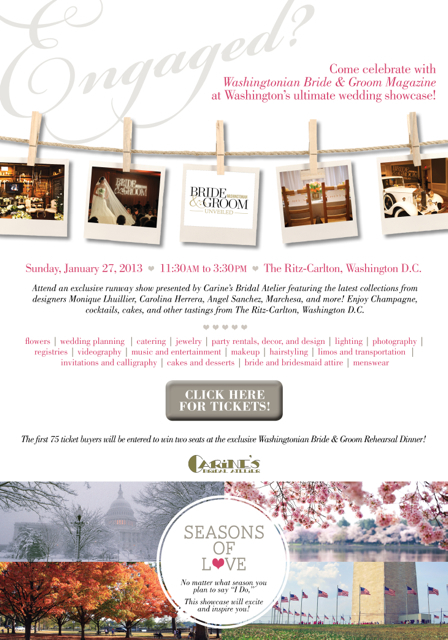 I would love to meet you at the Washingtonian Bridal Show. Please come see some of our amazing designs!! You go girl! Knock ’em outta their socks!